The giant piece of Ukrainian metal is a one of a kind. The aircraft currently holds a registration of UR-82060, being the only finished aircraft of its kind; A total of two were ordered, but the only one finished. It takes around 10 minutes for the cargo loading ramp just to raise and store itself, let alone for it to load everything and secure them in position. 2. The heaviest single piece of cargo with a mass of 186.7 tons. 3. 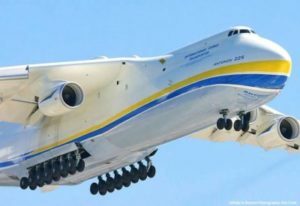 As well as the longest cargo having a length of 42.1 m.
The Mriya also serves people reliably. The aircraft time after time, participated in humanitarian operations. For example, October 2009 – The AN-225 performed several flights on delivery generators to Samoa. They were necessary for the renewal of work of Satala electric station damaged by the tsunami. Only a spacious cabin of the AN-225 could accommodate ten 12-tons generators at once. Each of them was as large as a 6-meter container. 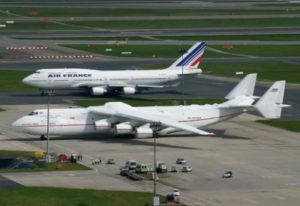 Around February 2010, the aircraft transported large machinery for redevelopment in Haiti, after the historic earthquake. Cargo with a weight of around 108 tons was delivered from Japan to the Dominican Republic by order of the government of Japan. They chose Mriya taking into account the necessity of urgent delivery. Only its spacious cabin could hold the amount of cargo needed. 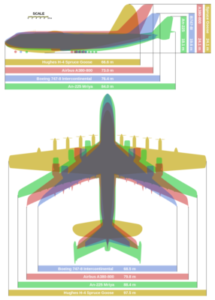 The initial plane was to create 2 of these gigantic aircraft, but only one was built, and the other partially constructed. The collapse of the Soviet Union in 1991 saw the cancellation of the Buran Space Program and the linked contracts with Antonov. This is why the second aircraft was never completed in 1994, the single AN225’s future was in doubt. It was unfeasible to operate, the engines were dismantled and removed and it was placed in storage with the second un-completed AN225. Where they spent years together. In the 2000s, the international need for the transportation of strategic equipment which was significantly heavy, brought the aircraft back to business. 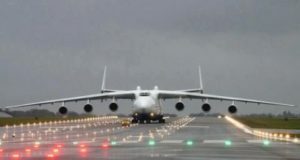 Over the past few years the demand for the Mriya’s services grew significantly. 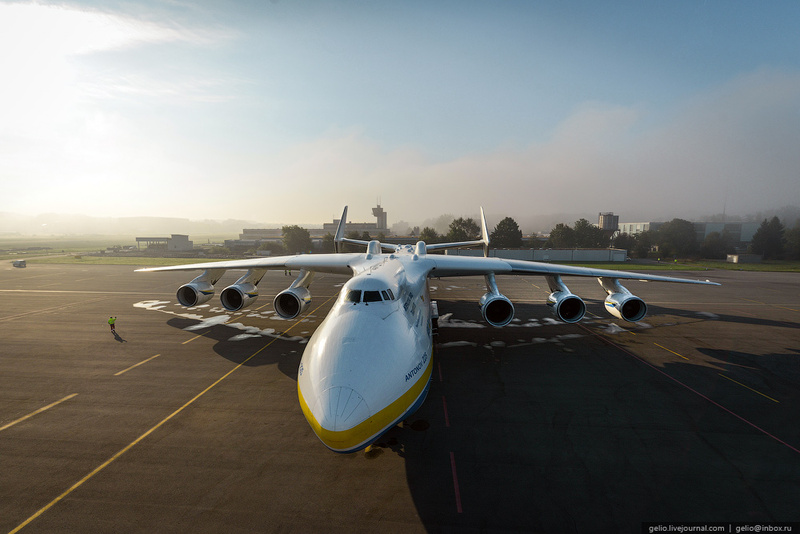 In 2006 Antonov decided to finish the second aircraft. However, the demand would start to fade and once again, for the second time, the construction was put on hold, and up till this date, there have been no plans to continue the construction. In Armenia, a generator for a power plant was 53.2 feet long, 14 feet wide and weighed 416,900 lbs. Obviously, it was airlifted by the Mriya.